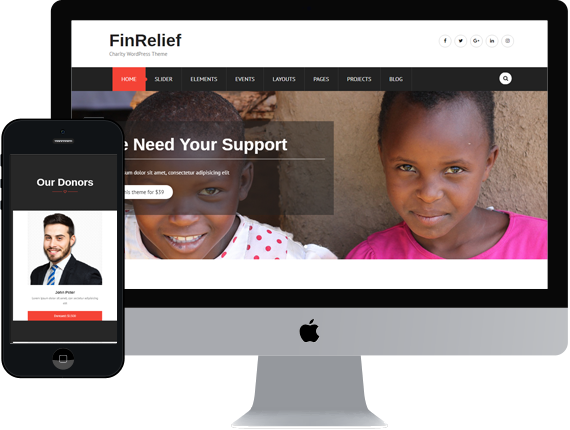 FinRelief is a charity WordPress theme which is best suited to for NGOs, Churches, Non Profits to get donations and fundraising purpose. It is uniquely designed, visually stunning high quality theme. Its responsive layout features adopts to various devices seamlessly. Highest code quality ensures that theme plays well with other popular plugins. It is also WooCommerce ready.